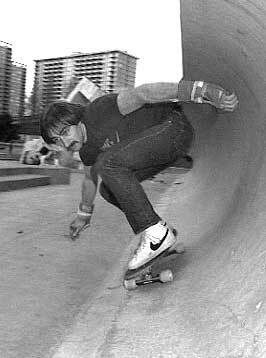 Fausto Vitello (8/23/1946 - 4/22/2006), the founding publisher of Thrasher magazine, a monthly must-read for skateboarding enthusiasts, has died. He was 59. Vitello died Saturday after suffering an apparent heart attack while bike riding in Woodside with friends. Vitello and a friend founded Thrasher in 1981, as skateboarding was enjoying a rebirth as a write-your-own-rules street sport. He ran the publication out of an office at Hunters Point Naval Shipyard in San Francisco. Vitello was born in Buenos Aires and moved to San Francisco with his family at age 9. He was raised in the Haight-Ashbury neighborhood and picked up English by listening to San Francisco Giants games on the radio, according to his son, Tony Vitello. When skateboarding took a dip in popularity, Fausto Vitello fought hard to save it, his son said. "He was skateboarding's saving grace. When the industry was in the gutter, he gave it mouth-to-mouth. When corporate types tried to step, he remained independent," Tony Vitello said in a statement posted at Thrasher's Web site. Vitello also founded the Independent Trucks company, a popular manufacturer of skateboard trucks. Services will be private, but a public celebration of his life was planned for a later date in San Francisco. 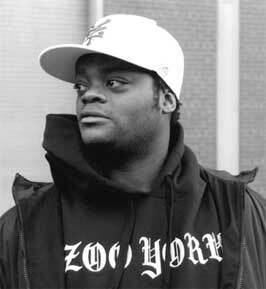 From the NYT: Harold Hunter ( - 2/17/06), whose skateboarding prowess and outsize personality led him to modeling and movie roles, celebrity friendships and prominence in the downtown Manhattan scene, was found dead on Feb. 17 in the East Village housing project where he grew up. He was 31. "The skateboard world was his family, and anywhere he went he was a walking party," Mr. Rohan said. Mr. Hunter died essentially penniless, and collections from friends and fans have helped pay for his wake and burial.